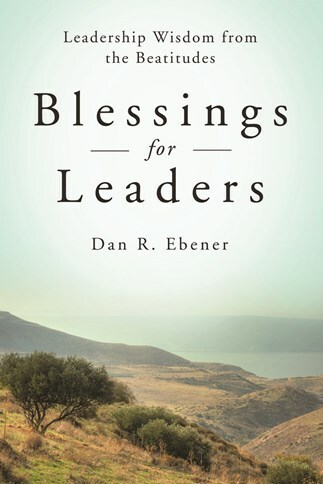 In Blessings for Leaders, Dan Ebener skillfully weaves an understanding of one of the most powerful and familiar Bible passages with insights drawn from his experience developing faith-filled leaders in churches, businesses, and not-for-profit organizations. Each chapter begins with Scripture, reflects on the inward journey of leadership through the virtues associated with that Beatitude, and addresses some of the outward challenges of leadership. The book makes specific suggestions about mission, vision, core values, followership, conflict resolution, emotional intelligence, communication and listening, team-building, meeting facilitation, innovation, and leading change. Straightforward, easy to read, and filled with illuminating stories, this book is ideal for anyone searching for Christian insight into leadership and for groups journeying to a deeper understanding of Jesus' vision for leadership. Dr. Dan R. Ebener has been practicing leadership and developing leaders for churches, businesses, and community organizations since 1976. He served as director of Catholic Charities in Davenport from 1986-2006. He now teaches leadership full-time for the Masters of Organizational Leadership (MOL) program at St. Ambrose University and serves as director of stewardship and parish planning for the Diocese of Davenport. Dan has presented at conferences, in classrooms, in churches, or at community forums in forty-three states and fourteen countries. He is author of Servant Leadership Models for Your Parish, (Paulist Press, 2010). Easily accessible, this slender book offers down-to-earth wisdom and could be an informative and absorbing basis for group study and discussion. Faith and leadership go hand in hand. Blessings for Leaders: Leadership Wisdom from the Beatitudes is a guide to better Christian living and insight from Dan R. Ebener as he advises leaders in whatever field, be it faith or business or just in everyday life, to take notes from the Beatitudes, and apply them to living life faithfully and through Jesus's example. Blessings for Leaders is an insightful and important guide of faith, not to be overlooked. Blessings for Leaders offers profound spiritual inspiration for every aspect of leadership. With thoughtful and encouraging examples of how the teachings of Jesus can be applied in any workplace, Dr. Dan Ebener has given a gift to leaders everywhere. This is exactly the type of book that I highly recommend. It provides insights into the gospel, inspiring stories, practical advice, and specific examples of how to apply the Beatitudes to leadership. "Dan Ebener has been a truly vital and prophetic Christian leader for the community of faith. In my experience, Dan is one of the best Christian activists in the country. In Blessings for Leaders, he examines what it means to be a leader through the lens of the Beatitudes, encouraging each of us to live into the invitation that Jesus has offered us. This is a book for anyone interested in learning more about what it means to be a follower of Jesus, a disciple, and an apostle.